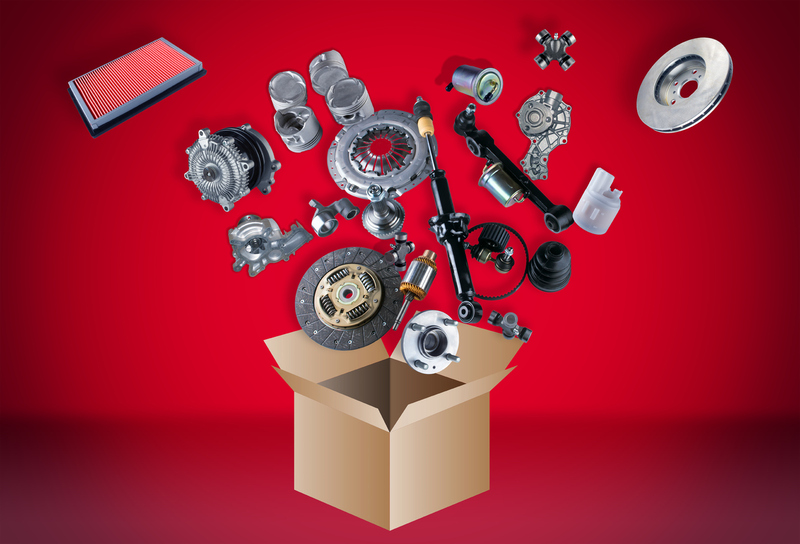 Spare parts: what is the difference between genuine, OEM, aftermarket and used? Spare parts but are they genuine, replacement or aftermarket? Your car needs some repairs doing to it and that means spare parts. But when your garage asks if you want OE, OEM, pattern or reconditioned, which should you go for? The jargon used in the motor industry can appear to be impenetrable. And that means you could be paying good money for something that won’t last, or paying for quality parts your car doesn’t need. Here we explain what the different sorts of parts are and what you should be watching out for. These might be called OE (it stands for Original Equipment) and they are the parts your car was fitted with when it was made. Even if they’re made by another company, they will probably come in a car manufacturer branded box. They’re the safest option because you know what you’re buying will fit your car and have the manufacturer’s guarantee. And if your car is still under the maker’s warranty it will remain valid. The downside is, these parts are generally the most expensive. These are often called OEM parts which stands for Original Equipment Manufacturer. The parts have been made by an external company that has supplied the car maker with components for that car at some point. The parts will be identical to Original Equipment parts but they will come in a box with the name of the company that made it on. This happens as the manufacturing company such as Bosch, Lucas or Valeo will have negotiated to sell the parts independently as part of its contract. These are likely to be cheaper than OE parts and you may be able to use them without invalidating the car’s warranty. This makes OEM parts suitable for cars that are three to four years or older. Designed to be fitted to cars as a cheap substitute for OE parts, these might also be called replacement or pattern parts. This is because aftermarket companies frequently buy the rights to manufacture them using the template (pattern) from the original manufacturer. Confusion arises because the term aftermarket covers a vast spectrum of quality. Aftermarket parts may outperform OE and OEM parts. High-end aftermarket firms analyse why OEM parts fail and improve the design. For example, car makers are frequently keen to keep costs low so they may insist on cheaper materials. Aftermarket firms may use higher quality ingredients. On the other hand, aftermarket parts may be so poorly made your garage will have to adapt them to fit your car. The parts may be made from substandard materials and could wear out in half the time of an OEM part. Or they may be knocked up in a shed in a developing country and be downright dangerous. As a basic check, make sure any parts have an ISO International Organisation for Standardisation stamp. Costs vary, depending on where and how they’re made, but they’re likely to be cheaper than OE or OEM parts. Assuming you buy one that’s the right quality, these are ideal for older cars. This term applies to parts that are made up of multiple components such as an engine or gearbox. When they fail, it’s usually only one component that breaks so stripping the unit down, replacing the broken part with a new one, rebuilding it and testing it ensures they’re very nearly as good as new. These are a very cost-effective way of getting an older car back on the road. However, fitting new parts can sometimes expose weaknesses in existing components in the remanufactured item which then fail. Remanufactured are good if you’ve got an older car and need to replace an expensive component. Just make sure remanufactured parts come with a guarantee. Like remanufactured, the word reconditioned applies to parts such as engines and gearboxes with multiple components. When they are stripped down, failed parts are frequently replaced with used parts, although items such as bolts and other fasteners may be new. These are far cheaper than the new equivalent but it’s impossible to know how long they will last. You don’t know how old they are or how many miles they’ve covered. And as with remanufactured components, you don’t know if other weaknesses may come to light. Otherwise known as used parts, these have come off scrapped cars. They’re the cheapest parts of the lot but unless you’re driving an old banger, you shouldn’t consider them. You don’t know how many miles they’ve covered or what condition they were in when they were taken off the donor car. And you don’t know how they’ve been stored. Very few salvage yards keep car parts somewhere that’s completely watertight, no matter how delicate they are.